Umbria Tour in October. Let's discover the Green Heart of Italy during Fall season. Book your journey and come with us to appreciate best Umbrian treasures next Autumn. Let’s have a look on tour program and take part in our lovely walking tour to discover the “Green Heart of Italy“. 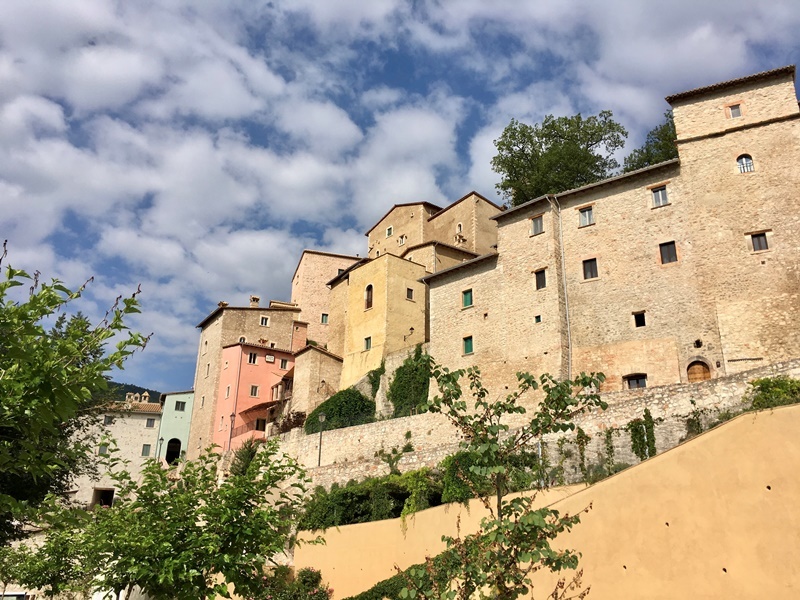 10,00 Visit Assisi. Lunch at La Stalla in front of the fireplace. Free afternoon in Assisi. 9,30 Visit Eremo delle Carceri. 11,30 wine tasting at at organic vineyard De Filippo (Cannara), we can enjoy the breathtaking view of Assisi, the atmosphere of the location and a philosophy of a slow way on the horse carriage. 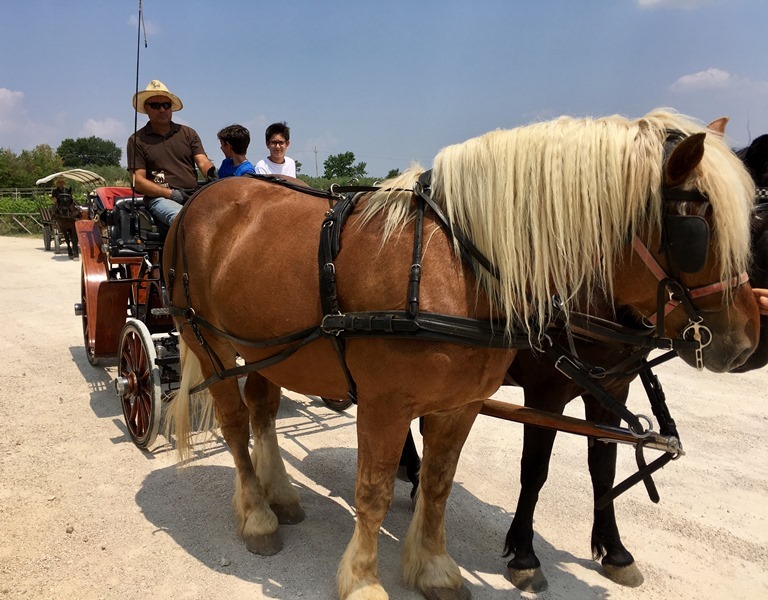 In the afternoon visit Bevagna and Montefalco stopping at a nice vineyard. 9,30 Visit Spello and Collepino. Light lunch in Collepino. 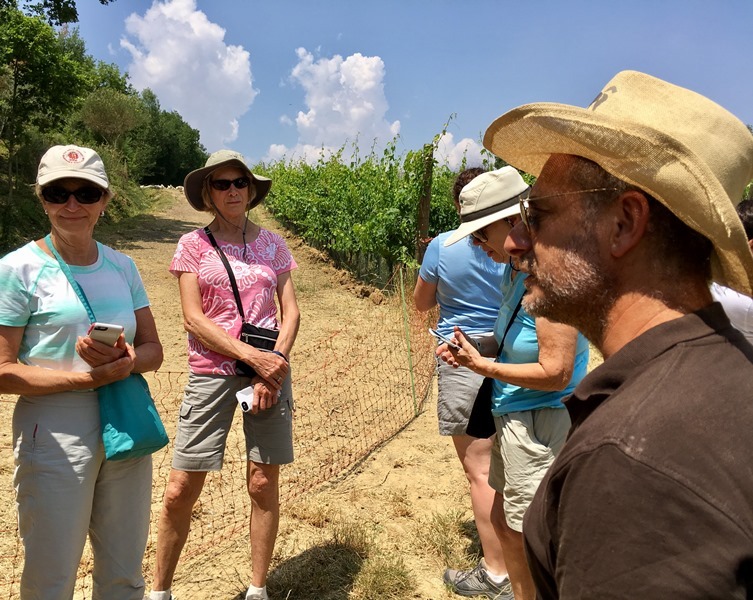 Hike along Roman Acqueduct with Gabriele or Goffredo. 17,30 Foligno main square, one hour guided tour to Palazzo Trinci with Rosalinda. 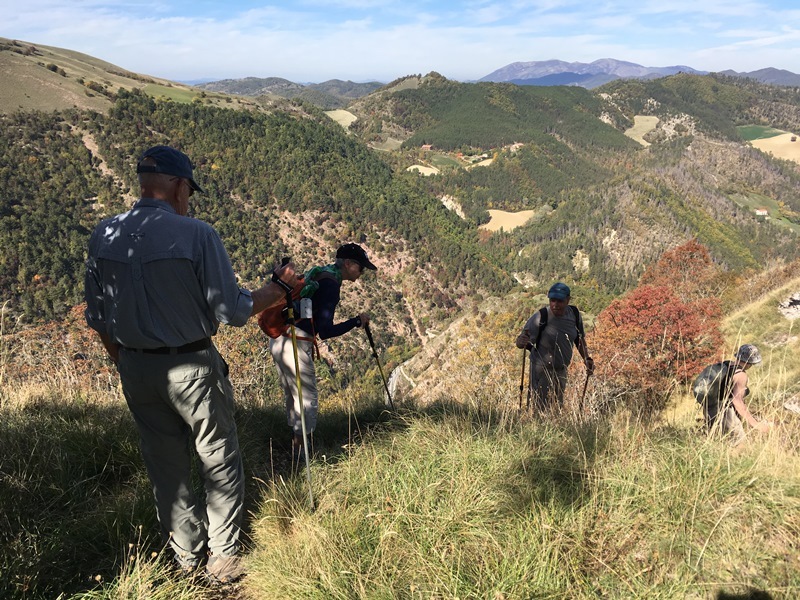 Visit Gubbio and hike on Mount Ingino. 20,00 Private concert folk style at Le Mandrie with Massimo Liberatori and Maurizio Catarinelli. 9,30 San Feliciano. Visit to fishery shop. 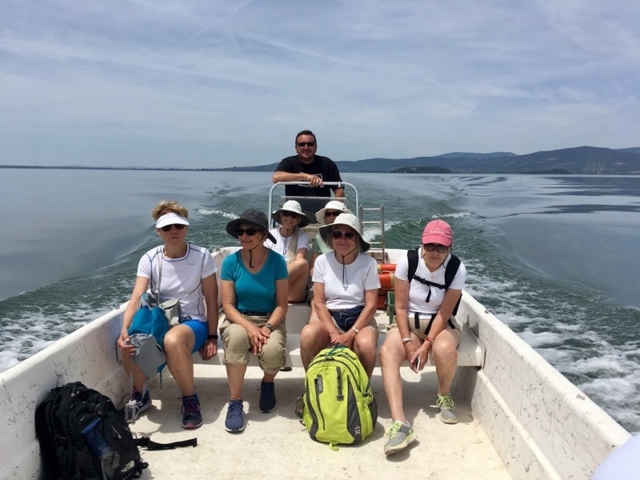 Trasimeno cruise with fishermen boats. They will show us how they fish and we will visit the two islands, Isola Maggiore and Isola Polvese. Picnic lunch. On the way back visit to the Old oil mill with Rosanna. Full day in Cortona (Tuscany) Guided tour in the morning, lunch at a nice cafè, free afternoon. Back to hotel. Visit Perugia. We move to Magione, picnic lunch. Free afternoon or Malta Knights Castle with wine tasting. We leave the lake. Moving to Spoleto (Hotel Charleston). Visit the town. At lunch time we enjoy porchetta or cheese sandwich and a nice ice cream. Visit Postignano before dinner. 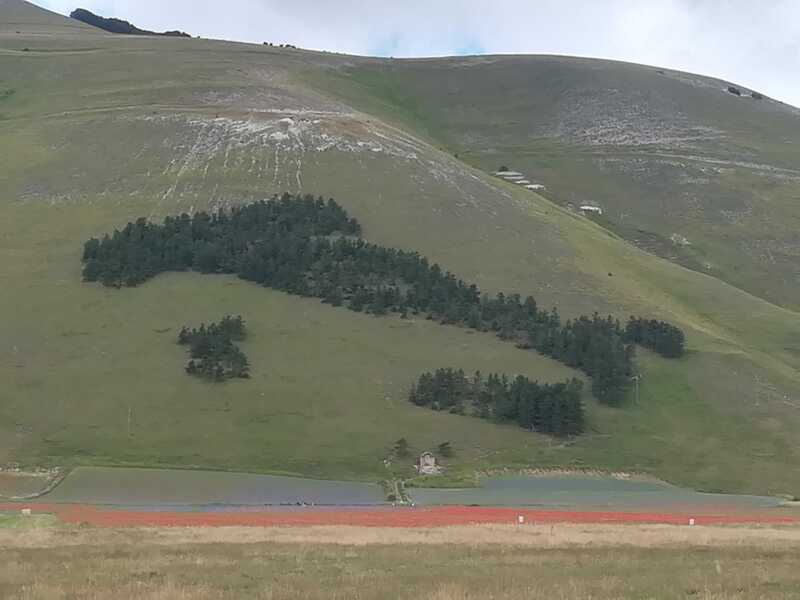 Visit Norcia and Castelluccio plain (if possible). Nice lunch with local products. In the afternoon thermal pools at Cerreto (www.bagnitriponzo.it). 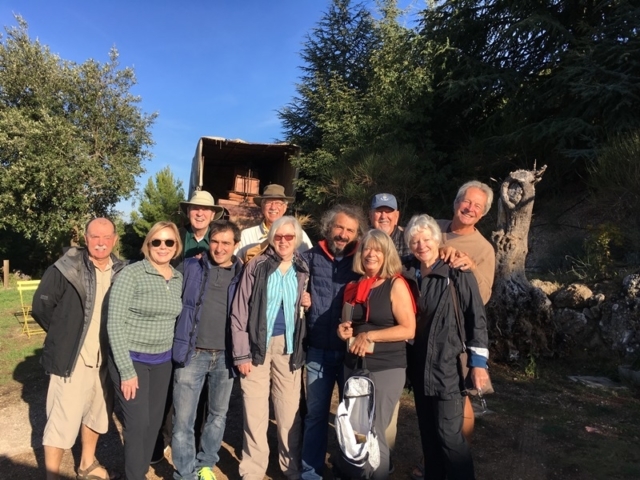 Visit the beautiful village of Vallo di Nera walking with Roberto from Sant’Anatolia di Narco. In the afternoon cooking class at Postignano or enjoy free time. This fully inclusive 13 day tour costs €3,000 based on double occupancy. Singles occupying double rooms incur a £250 supplement. All meals and wines are included, as per our normal exclusive formula. All participants of our International holidays will be requested to sign a Liability Release Form upon arrival at the destination.